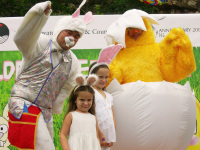 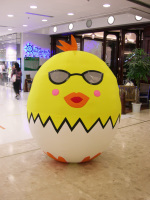 Easter is about chocolate, rabbits and little chicks in Hong Kong and Macau. 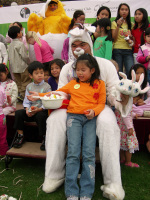 course, as they are the favorite of Hong Kong and Macau children. 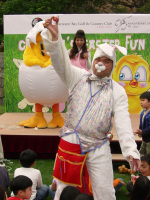 But he can make many other balloon shapes as well. 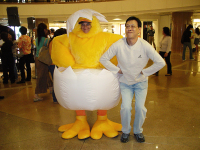 And we have a very special chicken in the egg character that is very popular with Hong Kong and Macau photographers.